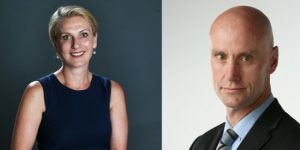 Michael Wilkins, former general manager NewsLocal, has been appointed executive general manager The Daily and Sunday Telegraph. Mr Wilkins will report into Mr Eales. Simon Anderson, former executive general manager The Daily and Sunday Telegraph, will take on the newly created role of group director wagering reporting into Mr Eales. Tamara Oppen, former general manager of strategic projects, has been appointed general manager NewsLocal. Ms Oppen will report into Mr Clegg. Mr Wilkins began his career in 1988 as a copyboy on The Manly Daily and has gone on to a rich career encompassing editorial and management roles in community, regional and metro publishing. Mr Wilkins moved to Queensland in 2010 where he spent two years as the general manager of North Queensland newspapers. In 2012, he returned to Sydney to take up the role of general manager – operations NSW before being appointed general manager of community publishing in 2013. Mr Eales said “With a combined monthly audience of over 2.8 million, there are few brands in Australia with the influence of The Daily and Sunday Telegraphs. Mr Anderson joined News Corp Australia in 2014 and prior to that had held senior roles at Fairfax Media. Mr Eales said: “As executive general manager The Daily and Sunday Telegraphs, Simon has delivered strong results while ensuring business continuity in closing out the financial year and I thank him for that. Ms Oppen joined News Corp Australia in 2003 as sales director for The Daily and Sunday Telegraph.